Halloween is the perfect time to flex your creative muscles, for adults and children alike. 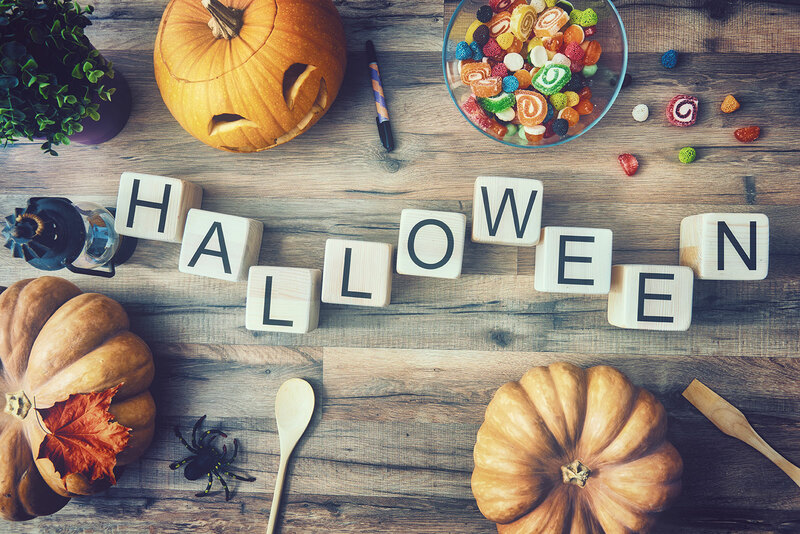 Whether you want to decorate your porch for trick or treaters, have your own Halloween party or keep the kids busy, we’ve got 10 ideas for you to make your own Halloween decorations. Adding spooky silhouettes to your window is a guaranteed way to set the tone for house party guests and trick or treaters. These home–made silhouette decorations are super easy, fun and cost–effective too. Follow the handy step by step guide to create silhouettes for black cats, haunted houses and creepy owls. There are endless ideas for making your own spider web decorations, but you can’t go wrong with this creepy wall decoration. It simply requires a ball of yarn and some double–sided tape, which comes in handy for last–minute plans. Kids will absolutely love these DIY hanging bat decorations because they involve using glue and googly eyes. These are simple yet effective outdoor Halloween decorations that can go in your garden and frighten trick or treaters. Make your own Halloween decorations and learn an awesome skill while you’re at it with these origami pumpkins. Create an origami pumpkin garland to hang in your home and impress your friends and family. This is a skill that could come in useful for other occasions too! If you want decorations that are convenient, cheap and easy, it doesn’t get much better than spooky lampshade silhouettes. Put these into your lampshades and create a satisfyingly eerie effect throughout your house. For those of you who are throwing a Halloween house party,why not welcome your guests with a macabre message on a custom decorated doormat? This is a simple and quick decoration that won’t break the bank. Ghosts are a signature Halloween theme, and there are infinite ideas out there for making ghost decorations. Here’s a tutorial for making levitating ghosts, using balloons, cloth, string and tape. How easy is that? Halloween–themed lanterns are a great way to get creative and set the scary tone in your home. These are especially cool because you can use bits and bobs from around the house to make them, such as old jars for example. If you’re going to make your own Halloween decorations, why not go all out and make some epic outdoor ones? Give trick or treaters (and your neighbours) the fright of their lives with some of these outdoor decorations. Have fun! There’s no better way to create a chilling atmosphere than using some of these scary skeleton ideas. These include skull goodie bags, sock skeletons and many more haunting ideas. So now you see how easy it is to make your own Halloween decorations without breaking the bank. Enjoy!